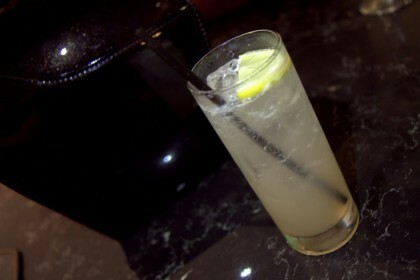 Here are the 7 standout cocktails and new bars of the month I’ve been tasting around the Bay Area. 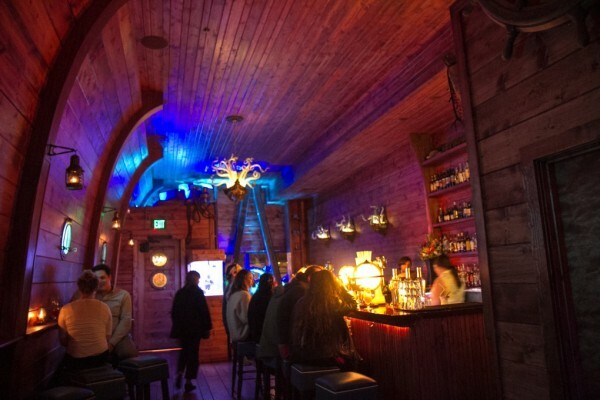 The most fun new bar of the month (and year so far?) is easily Pagan Idol from the prolific Future Bars team (Bourbon & Branch, Rickhouse, Local Edition, Tradition and so on), with managers Justin D’Olier and Daniel Parks managing this bar. You may think we didn’t need another Tiki bar. 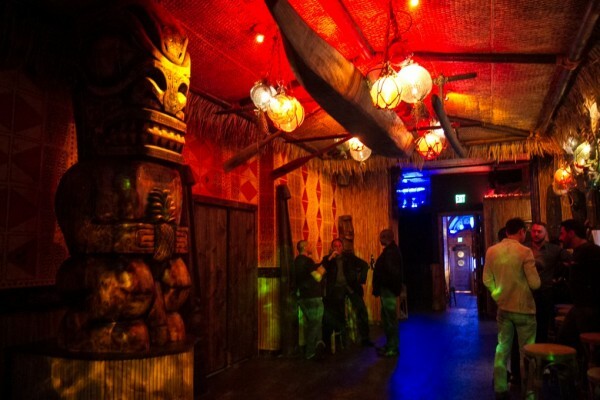 But… when the bar sports a starry night sky twinkling over cozy thatched huts as my exotica favorites Esquivel! and Yma Sumac play, I am IN. The hull-of-a-ship front bar is the “Captain’s Quarter’s”, while the back bar is a beach with an active volcano and that sparkling sky. After two initial visits, even the busier night wasn’t intolerable with seats still available or opening up quickly. Here’s hoping it stays that way. Drinks aren’t going beyond or equal to the depth of the menu at Smuggler’s Cove, but out of six I’ve tasted initially ($10-14 each), all were good and some were delightful, except for a surprisingly bland Banana Life cocktail. Kudos for the use of li hing mui (salted plum – a common flavor in Hawaii, originating in China) in the Bird of Paradise ($12), a creamy dream of a cocktail featuring cachaca and Reposado tequila with lemon, vanilla and a passionfruit whip beautifully seasoned with li hing mui and sea salt — it’s lightly sweet without being excessive. 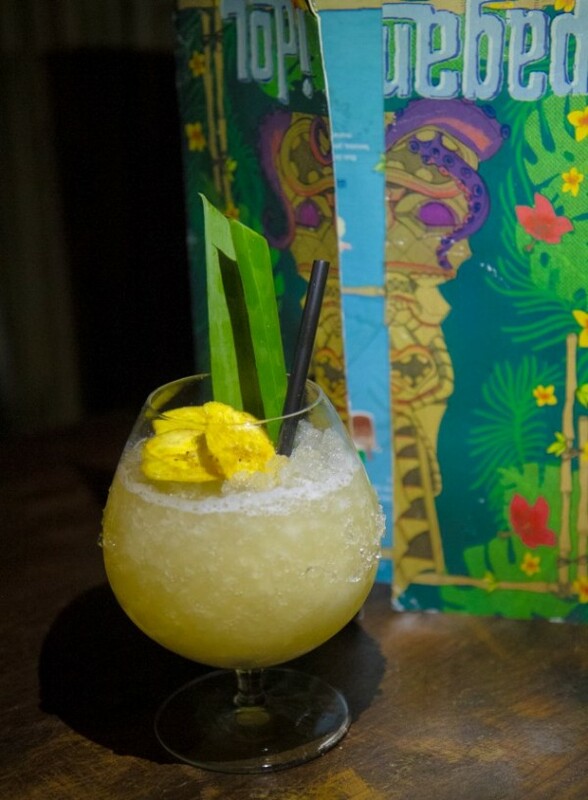 They make a very drinkable Mai Tai over crushed ice, while the Witch Doctor ($12) — showcasing the beautiful funkiness of Clement’s Rhum Agricole and Jamaican rum with grapefruit, lime, passionfruit, spices and egg white — cheekily lists “ancient curse” as an ingredient. Changing, boozy slushies in slushie machines surprise, as with a balanced, tart raspberry Hurricane. For the “spirits geek”, they have most of the superb Samaroli rum line behind both bars (roughly $45-95 a pour). “The cocktails at MINA Test Kitchen have rapidly evolved. 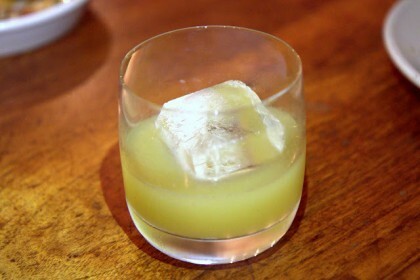 The liquor license was granted during the Little Italy theme when GM Rafael Vazquez and MINA Group’s Carlo Splendorini, who oversees Mina bar programs, were doing memorable things with low proof cocktails. With the new Company menu, cocktails ($11-13 each) have become destination-worthy in and of themselves, all featuring Calyx Gin [though there is first come, first served bar seating with a la carte options from the tasting menu, call ahead to make sure seats are available as they are limited]. Excellent South Indian cuisine and cocktails pulling from Indian ingredients and flavors have been draws at Dosa on Fillmore (and its sister location in the Mission) since it opened years ago. Lead bartender Chris Lukens’ new spring cocktail menu ($12 each) offers a number of joys. 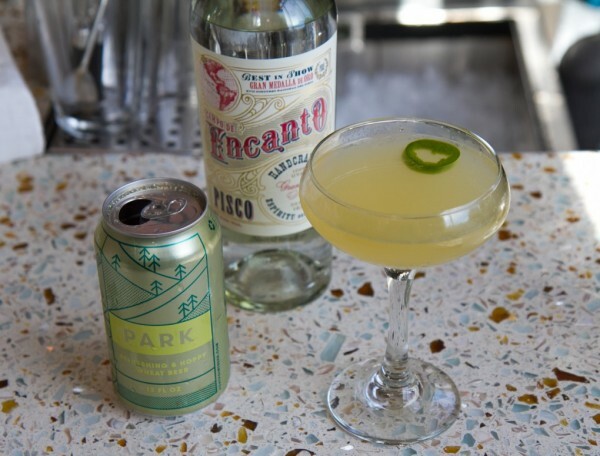 Bali Hai shows off Encanto Pisco with lemon, bird’s eye chile and a subtle ginger mint pineapple shrub made in house, finished with a splash of local Fort Point “Park” beer, a hoppy wheat beer that adds a bright, delicate effervescence. Thankfully, two of Dosa’s best longtime cocktails remain on the menu: the savory, elegant Steph Curry (Four Roses Single Barrel Bourbon, curried nectar, spiced agave, lime, Tempranillo) and the bright, creamy, irresistible Peony (Plymouth gin, hibiscus masala nectar, coconut agave nectar, lime, bird’s eye chile). 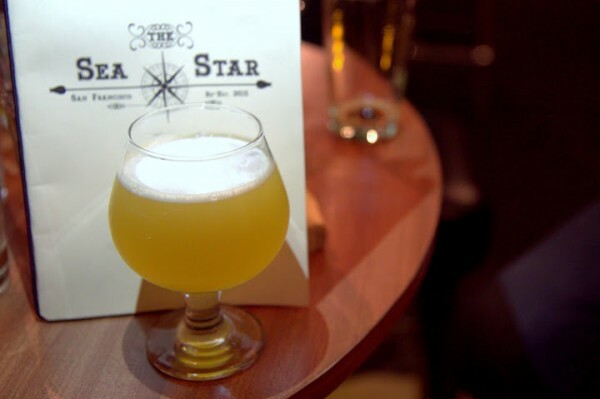 Since it’s revamp under new ownership last July, The Sea Star is that ideal neighborhood bar where quality beers, wine and cocktails reign and a warm welcome is ensured. 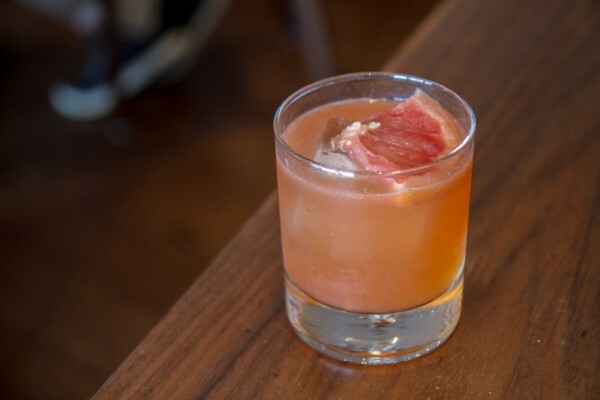 Talented bartender, Alicia Walton (formerly of Bloodhound, Brass Tacks, Comstock Saloon, and recent winner of Speed Rack SF 2016), who opened the bar in July 2015 with Ryan Gilbert (Bloodhound, House of Shields) and Tommy Shaw (Martuni’s), has crafted an easy-drinking cocktail menu. My favorite recent cocktail from Ms. Walton is a layered, refreshing, off-menu beauty, What Cider You On. Served in a snifter, the drink nods to Spain with Lustau Spanish brandy, Carpano Bianco vermouth, lemon, honey and a couple dashes of Pernod absinthe, topped with Sidra Fanjul, a dry Spanish cider. Just steps from the inspiring Bay and San Francisco views of the idyllic waterfront town of Sausalito, Copita is better than ever with new executive chef Daniel Tellez’ lobster tacos and lamb birria. The restaurant’s agave spirits collection is top-notch making flights a great option. But so are cocktails, whether the robust Ziggy Stardust, combining mezcal, Aperol, Yellow Chartreuse, grapefruit and lime, or No Religion, No Politics, served tall and bright with reposado tequila, lime, Benedictine, pineapple shrub, mint and chile-infused agave. Last month, I covered recent dishes at one of my all-time favorite restaurants in San Francisco: Bar Tartine. It’s also a place where unique, low proof cocktails showcase intense herbs and flavors evoking spirits but made from rice, wine and the like (as in a candycap mushroom and apple rice cocktail). Currently, the citron and fir tip cocktail ($11) is intriguing and intense, redolent of bright winter citrus and herbaceous fir, tasting like a NorCal winter. At the new Antoinette in Berkeley’s gorgeous, recently remodeled Claremont Club & Spa (a Fairmont hotel), the Ma Vie En Rose ($12) is a three ingredient cocktail that works surprisingly well for a drink that looks so basic. 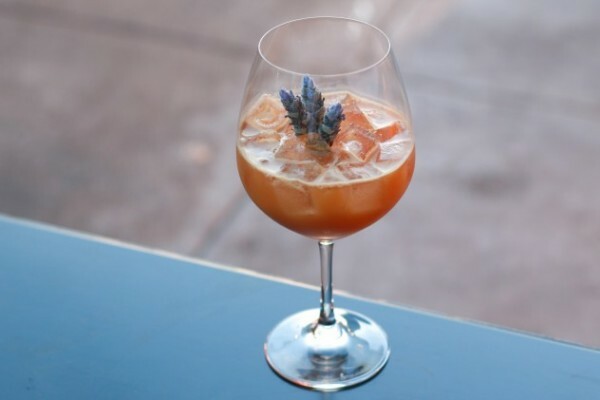 The drink goes down easy yet not without complexity, thanks to Lillet Blanc aromatized wine, Giffard Creme de Pamplemousse Rose (grapefruit liqueur) and a bit of St. George Absinthe adding herbal notes to the tart, dry refresher.